New Directory is single most authoritative of its kind. Mvine Limited announces today its inclusion in the new RegTech Markets Directory which goes live today. The RegTech Markets Directory is compiled and published by RegTech Markets and is the single most authoritative directory of its kind in the world. It delivers a clear and categorised view of the RegTech marketplace. The move comes as part of Mvine’s strategy to progressively scale up all its activities, especially within regulated markets such as banking and insurance. 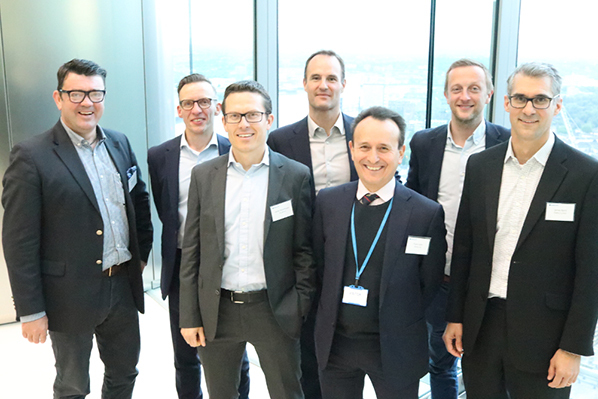 From left, Mike Wilson and Jason Boud, co-founders of RegTech London with speakers at a recent RegTech London meetup.